POINT OF VIEW: The view of Kathmandu and Langtang Himal that will greet visitors when the Thankot-Chandragiri cable car is operational next June, which will be the same equipment used in Manakamana (below). Ropeways have long been recognised as an ideal mode of transportation in Nepal, but despite some pioneering projects the potential has never been fully developed. Until now. Several tourism-related cable car projects are coming up in the next year in Pokhara, Butwal, Bhaktapur, Nagarkot, and two in Kathmandu. The best known cable car system in Nepal is the one to Manakamana temple in Gorkha district. There have also been smaller ropeway projects to help farmers get their produce to market quicker. However, attempts to start similar ventures at other shrines and mountain tops in the past decade have been delayed or abandoned due to problems with land acquisition, bureaucracy and local opposition. But now several projects are getting ready to get off the ground. Construction has begun on a tourist cable car system from Thankot to the summit of Chandragiri (2,563m) at the western edge of Kathmandu Valley. When it is completed in June 2015, the 2.4 km cable car link will take tourists to a temple on top as well as offer spectacular views of Kathmandu and the mountains beyond. The project includes a plan to construct a 100-room hotel designed by architect Arun Pant on the summit, a Shiva temple and an amusement park at the bottom station in Thankot. 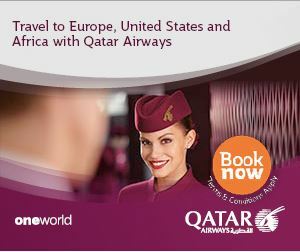 Equipment is being imported from Austria’s Doppelmayr company which was also used on Manakamana. 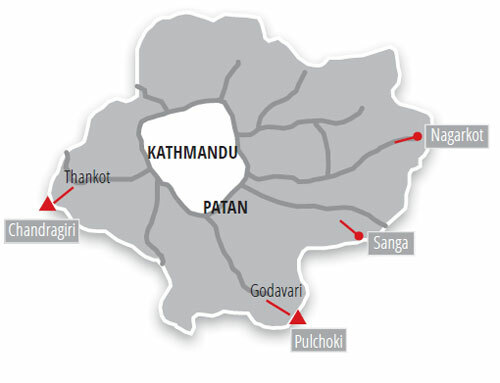 Another even more ambitious project is going to link Godavari to the top of Pulchoki, which at 2,672m is the highest point on the Kathmandu Valley rim. The project has got its final go-ahead from the government as well as the local authorities, and construction is expected to begin in December. 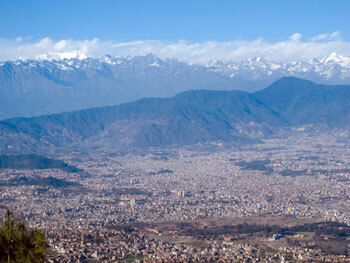 There are two other projects in Bhaktapur, one to the top of Sanga Hill and a smaller chair-lift project in Nagarkot. Designs for the Sanga cable car venture are complete and equipment from a Swiss company have been acquired, but local land compensation issues have delayed it. Annapurna Cable Car, a joint venture between Himalayan Kanko Kaihatsu of Japan and Trans Himalayan Tour of Nepal plan to make a premium hotel on top of Sarangkot in Pokhara, famous for its sunrise views. Construction of the hotel and cable car is expected to start in January. 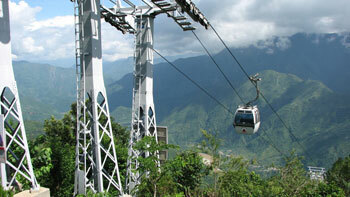 Butwal is also planning a tourist-pilgrim cable car next year. In addition, Ropeway Nepal is getting inquiries from villages across Nepal to build cargo and passenger ropeways to cross major rivers as well as to shrines and tourist spots. “There is a lot of interest from districts like Myagdi and Sindhuli,” says Dhakal, whose company designs and fabricates Nepali-made ropeway systems. There have been cargo ropeways run by local communities linking Kirne to Bhotechhap for the Khimti Hydropower project and Darimchhaur to Khaira for the Jhimruk Project. There have also been successful small gravity ropeways in Gorkha, Tanahu and Sindhuli. Nepal’s Rana rulers were much more visionary about the potential for ropeways than our contemporary rulers. It was Chandra Shumshere who installed a 22km cargo ropeway between Dhorsing and Kathmandu in 1924, although he appears to have preferred ropeways in order to retain Kathmandu Valley’s strategic inaccessibility from the Indian plains. It took another 40 years for Nepal’s second ropeway to be set up with the US government help. 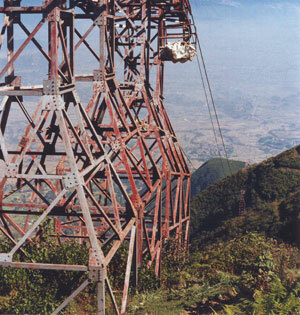 The 42km Hetauda-Kathmandu Nepal Ropeway (pic) cost half as much as the Tribhuvan Highway on the same route to build. The government-run ropeway and the private trucks on the highway were bitter rivals, and in the end, the highway won. In 1964, when Nepal Ropeway went into operation, it pulled so much electricity from the grid that Kathmandu Valley’s lights dimmed when it was running. Government apathy, mismanagement and neglect took their toll. The ropeway was never used to more than half its capacity northbound, and the cars always headed back to Hetauda empty. Although it showed its utility during the Indian blockade (1988-89) and when monsoon landslides washed off both Tribhuvan and Prithvi Highways in 1993, Nepal Ropeway was finally closed down in 2001. But its towers still stand and empty cars sit frozen above the Kulekhani reservoir. 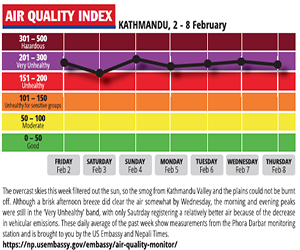 Gods no longer walk the streets of Kathmandu, or if they do, there is an insufficiency of powerful tantrics to recognise them. If forcing people into celebrations wasnt bad enough, the contents of flying lolas this week are a case for chemical weapons inspectors. Indo-Nepal trade has soared and both countries have benefited. An Indo-Pakistan nuclear exchange is not a matter just for those two squabbling neighbours, it will affect us too.